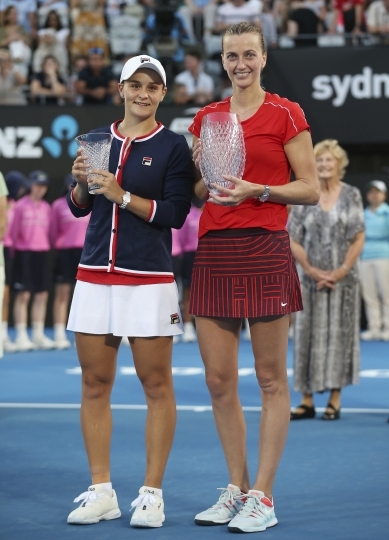 SYDNEY — Two-time Wimbledon champion Petra Kvitova beat Ashleigh Barty 1-6, 7-5, 7-6 (3) in the women's singles final on Saturday at the Sydney International. 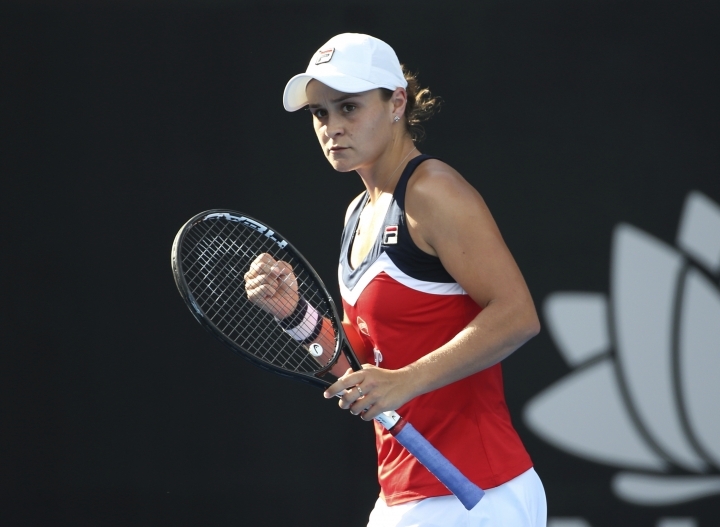 Barty led the deciding set 3-0 before Kvitova began a comeback to win her 26th WTA title. Barty beat No. 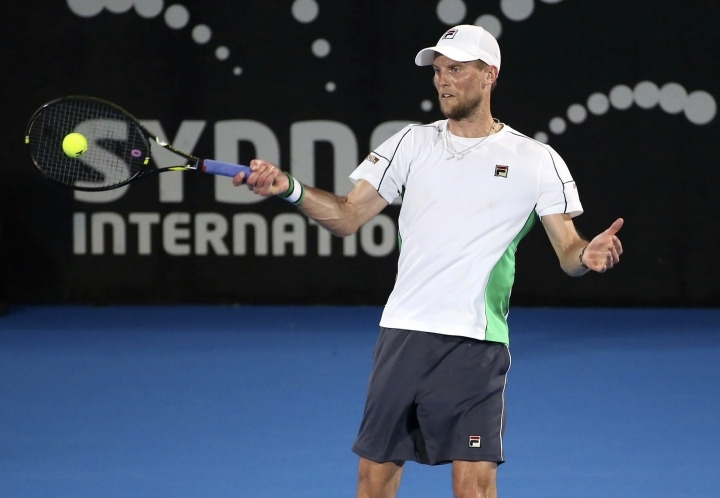 1 Simona Halep, No.9 Kiki Bertens and No.12 Elise Mertens on her way to the final. 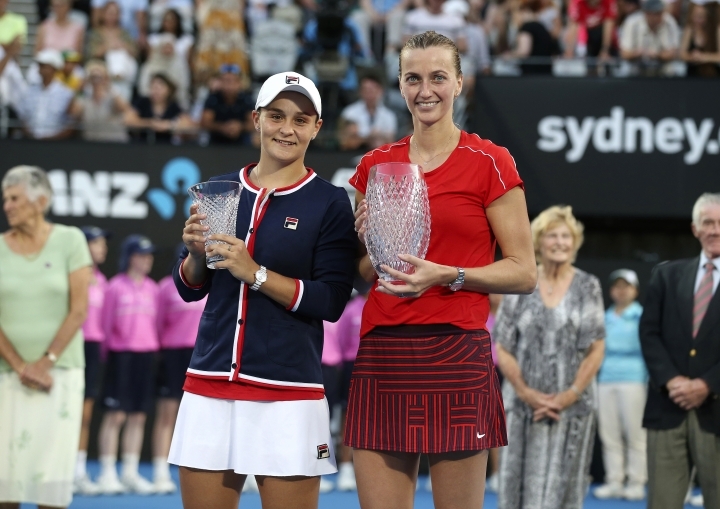 Kvitova apologized to Barty and the crowd for spoiling the Australian's Sydney party. 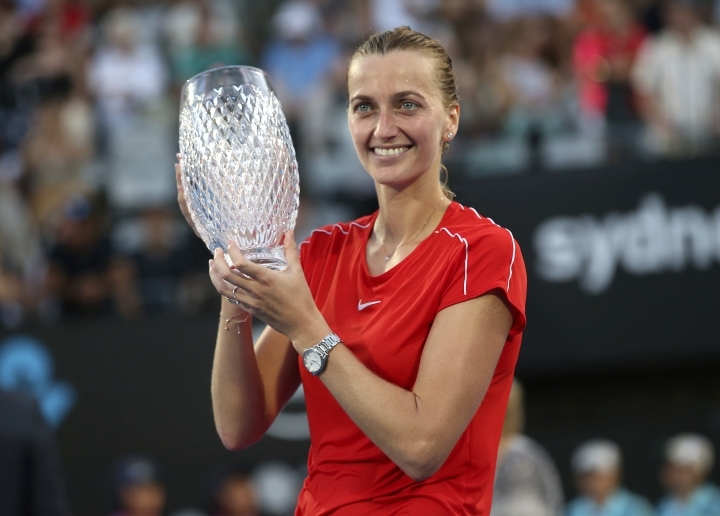 "Not to win at home, I'm sorry," Kvitova said. "You know, one day you're going to make it for sure." 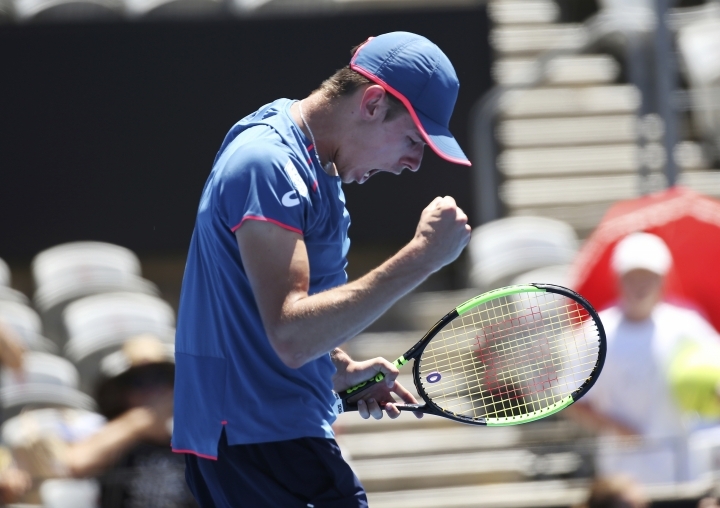 Later, Australian Alex de Minaur won the men's singles title when he beat Italian veteran Andreas Seppi 7-5, 7-6 (5). 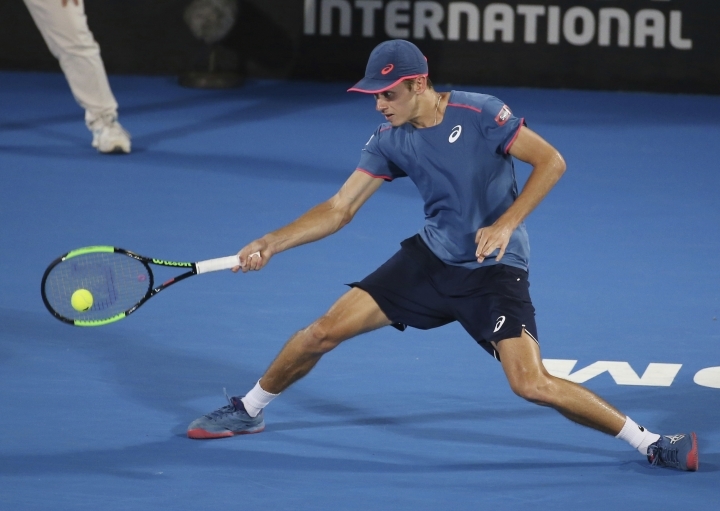 It was de Minaur's second win of the day, after he earlier beat Gilles Simon 6-3, 6-2 in a rain-delayed semifinal from Friday night. 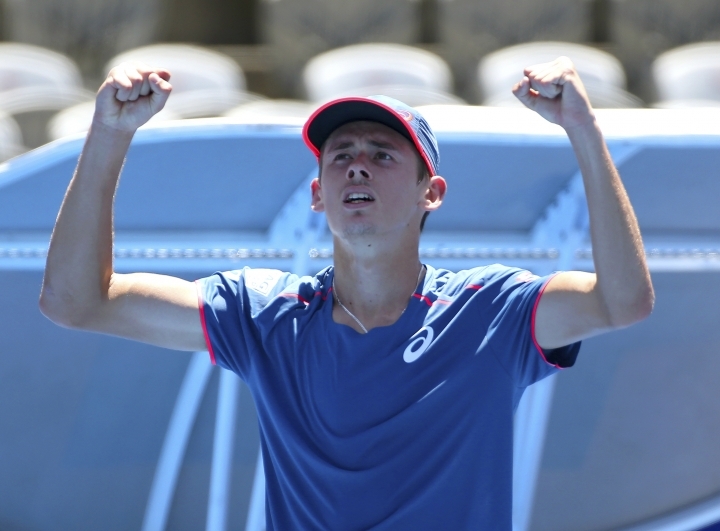 The victory made de Minaur the youngest winner of the Sydney tournament since Lleyton Hewitt also did it as a 19-year-old in 2001.